Busy resort centers can turn into ghost towns during the offseason, and such sites can be almost John Carpenter-esque: One moment the streets are filled with boisterous, cheering crowds, and in the next, the place looks like a graveyard at 3 in the morning. 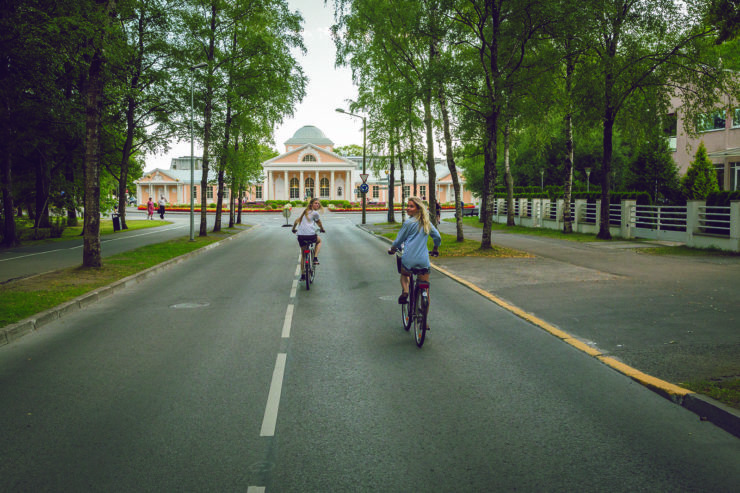 You can find a similar scenario in Pärnu, the fourth-largest city in Estonia and one of the best-known resorts in the Baltics–if not in the entire former Soviet Union. During warm summer months, the city will effortlessly double its population of around 40,000, thanks to its enticing sand beaches. The rents here can rise to dizzying heights on some weekends. If you want to attend the famous Weekend festival, for instance, prepare to shell out 1,000 euros a night for an Airbnb. Then, as early as September, Pärnu takes an abrupt hiatus for almost 8 months as if needing to recover from 3 months of frenzied activity. That would be the best time to bring your camera and crew and shoot that film you need a unique location for. The city is still completely functional, and the only thing you’ll miss is the crowds. Pärnu is in southwestern Estonia on the coast of lovely Pärnu Bay, an inlet of the Gulf of Livonia in the Baltic Sea. The Pärnu River flows through the city and drains into the Gulf of Riga. The city is served by Pärnu Airport, but the airport is tiny and serves only seasonal flights to nearby islands. Not to worry, though, Pärnu is just an hour and a half from the Tallinn airport, the major terminal in Estonia. Many say the best part of Pärnu is its amazing architecture. You might find an ugly building there if you look for it, but for the most part, you’ll be stunned by its architectural diversity and excellence. Take a look at the Pärnu Beach House (Rannahoone), for example, a recreational building built in 1938 that is shaped like a ship on one side and has a mushroom-shaped balcony on the other. Or visit the glorious Rannahotell (beach hotel), an exceptional example of functionalism. Or walk past the neo-classicist Pärnu Mud Bath structure dating from the late twenties. Or stay at a “jugendstil” building of Ammende Villa, built in 1905 and now a hotel and restaurant. Creating any mid-century period would be a breeze in Pärnu. Just move the few cars and replace the store signs. The sky is the limit in Pärnu, we like to say, but it’s really limited only by one’s imagination. 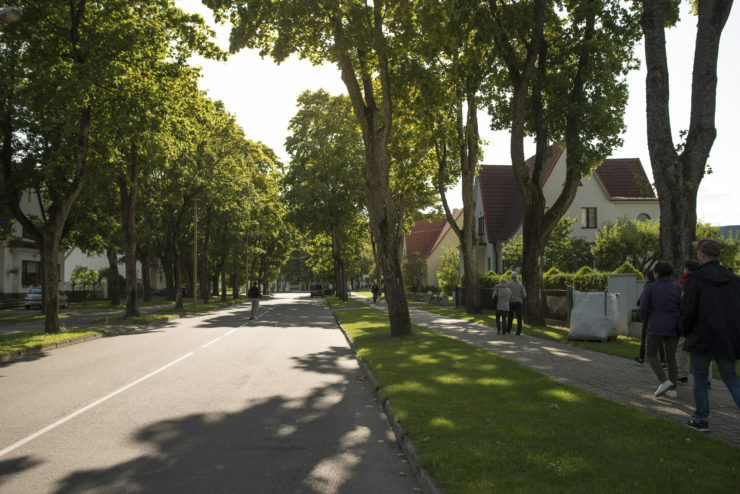 And in addition to unique scenes, you could extract a strong monetary gain from your Pärnu visit, as the Film Estonia cash-rebate program allows you to submit an application for international production service or co-production for a cash rebate of up to 30% on eligible production costs. Try to imagine how good that sounds!